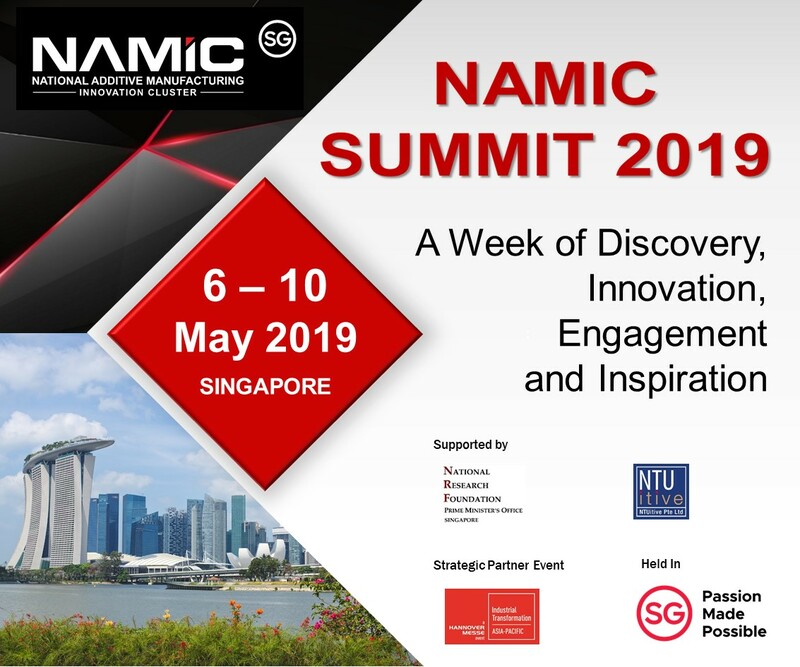 Additional news derives from ARRK Europe, the Southwest Research Institute, Mimaki USA, the Standard Bank Group, and more. EOS, a German industrial 3D printing solutions provider, has announced further collaboration with Siemens, Europe’s largest industrial manufacturing company. 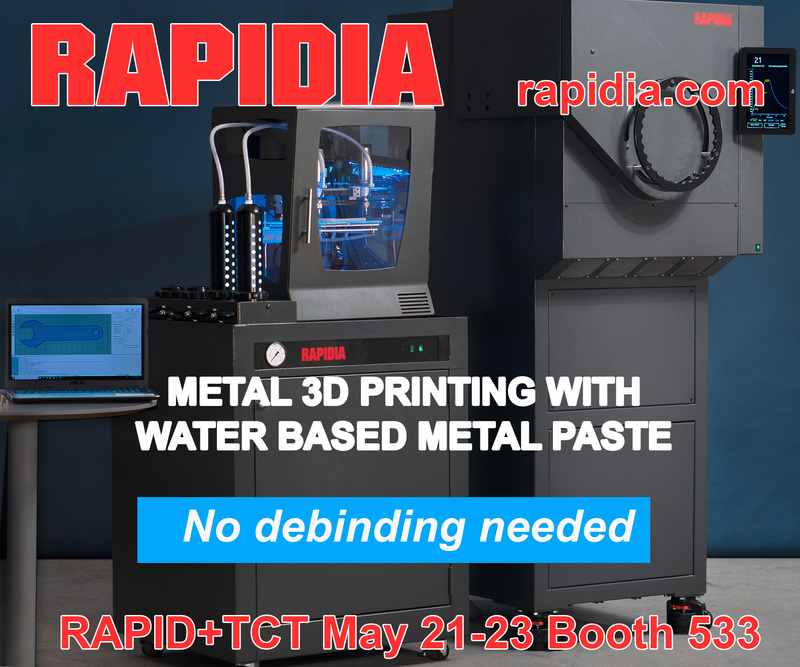 Together, the companies plan to expand additive manufacturing software development, drive components and automation. EOS’ M 300 series of direct metal laser sintering (DMLS) systems, which debuted this week at IMTS 2018, as well as the EOS P 500 system, showcased first time at last years’ formnext fair, are now equipped with drive components from Siemens’ Totally Integrated Automation (TIA) portfolio. 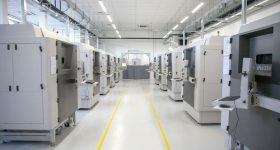 The EOS P 500 system will also be added to Siemens’ Additive Manufacturing Experience Center (AMEC) in Erlangen, Germany. 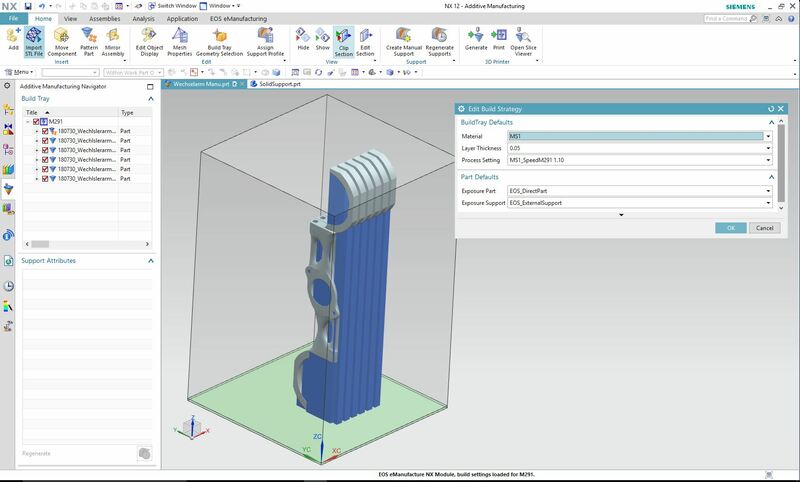 Furthermore, EOSPRINT 2, an open and productive CAM software, has been integrated in Siemens NX 12 to better connect additive manufacturing processes from design to advanced 3D printing within EOS systems. The EOSPRINT Driver for Siemens NX. Image via EOS. 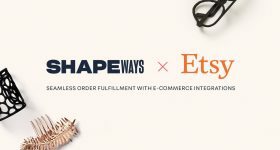 “As the co-inventor of STEP and being the executive in charge of development over the last nine years, it’s not only exciting but critical that we get the technology into a customer’s hands for development of real-world applications,” said Steve Chillscyzn, CEO of Evolve Additive Solutions. 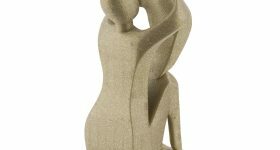 ARRK Europe, product development specialists based in the UK, has launched a new online quoting and ordering service for 3D printed Stereolithography (SLA) and Selective Laser Sintered (SLS) parts. With this service customers can upload their CAD data, specify their SLA or SLS requirements and receive an instant quotation. 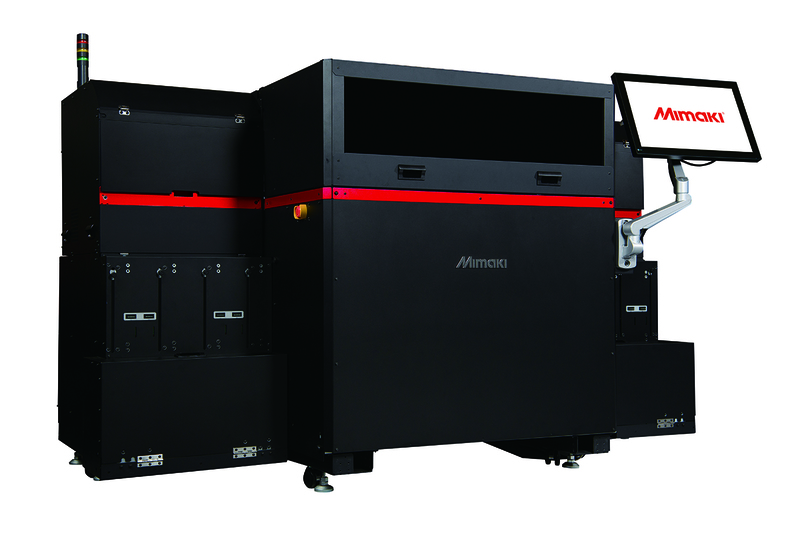 Mimaki USA, a manufacturer of wide-format inkjet printers headquartered in Japan, has signed New York-based CAD BLU as a national dealer for its 3DUJ-553 full-color industrial 3D printer. 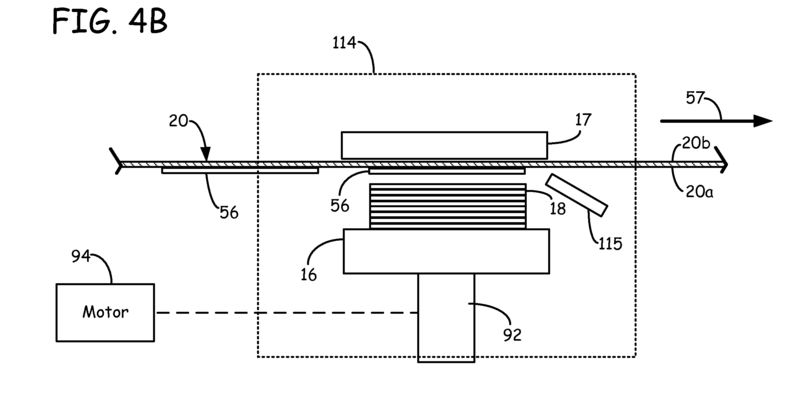 Florida-based 3D bioprinter developers nScrypt has brought Newton Cyberfacturing, an additive manufacturing service bureau, in-house to form nScrypt Cyberfacturing. Mike Newton, co-founder of Newton Cyberfacturing, and Dr. Ken Church, President and CEO of nScrypt established Newton Cyberfacturing in 2012 while maintaining their separate companies. 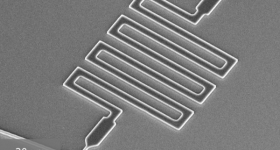 Now, Newton will now run nScrypt Cyberfacturing and hold his current position as nScrypt’s Director for Electronic Packaging, 3D printed electronics, and functional devices. 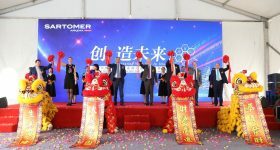 “nScrypt’s new business unit will have three strategic focus areas: direct digital design & product co-development with our cyberfacturing customers; digital multi-material manufacturing of the co-developed designs using nScrypt’s digital manufacturing equipment; and modular turnkey cyber-based manufacturing systems,” said Newton. 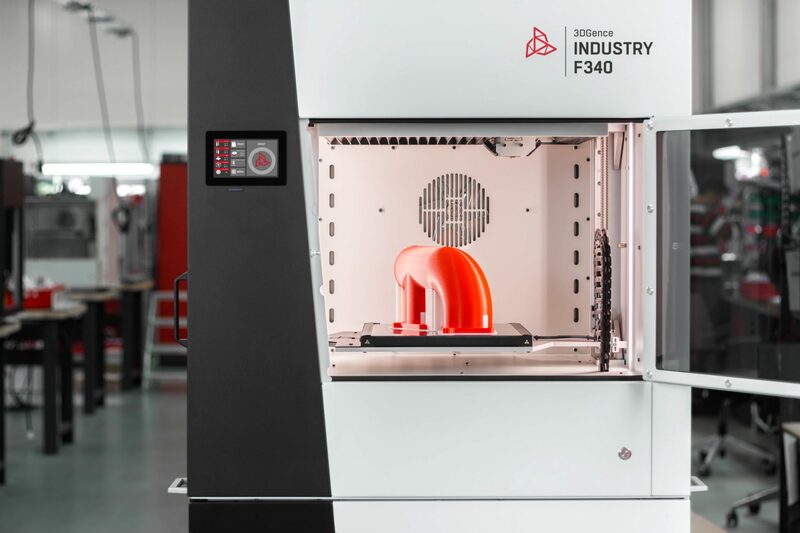 The INDUSTRY F340, a dual nozzle industrial 3D printer from Poland’s 3DGence, has been certified by the global technical service provider TÜV Rheinland to confirm product quality and safety. 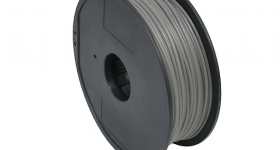 To test the print quality of the INDUSTRY F340 3DGence, order a free 3D print sample in the form of a helical compound gear, a brake caliper, or an indexing gear. The 3DGence INDUSTRY F340. Photo via 3DGence. 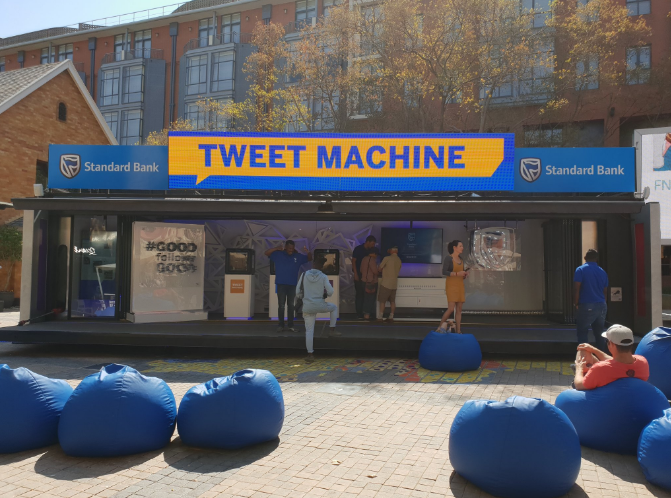 The Standard Bank Group, based in Johannesburg, South Africa has commenced a social campaign on Twitter which turns positive tweets into tangible 3D printed educational tools. As part of the Standard Bank Tutuwa-BRIDGE School Programme, South Africans are encouraged to tweet something inspirational with the hashtag #GoodFollowsGood; for every positive tweet, Standard Bank’s Tweet Machine, a mobile industrial container which links social media to 3D printers and laser cutters, will produce up to 1000 set square and ruler kits for grade 6 learners. Standard Bank’s Tweet Machine. Photo via Arthur Goldstuck. Tech Mahindra, a multinational IT provider based in India, has partnered with FutureSkills, an initiative by India’s National Association of Software and Services Companies (NASSCOM), to reskill and upskill Tech Mahindra’s workforce in new technologies. This includes Robotic Process Automation (RPA), Artificial Intelligence (AI), Internet of Things (IoT), Cloud Computing and 3D Printing. Aether, the San Francisco-based biotechnology company behind the multi-tool Aether 1 3D bioprinter, has announced a collaboration with researchers from the University of California, Los Angeles (UCLA) Henry Samueli School of Engineering to improve the fabrication process for 3D printing artificial muscles with soft materials. 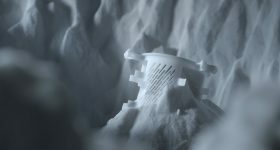 The Aether 1 will be optimized through new techniques and algorithms to improve additive manufacturing for such materials. UCLA researchers will also join Aether’s medical imaging AI collaboration with Harvard Medical School through exclusive access to Aether’s un-released visualization AI software (set to launch in 2019) which includes featuring Automatic Segmentation and Reconstruction (ASAR) technology. 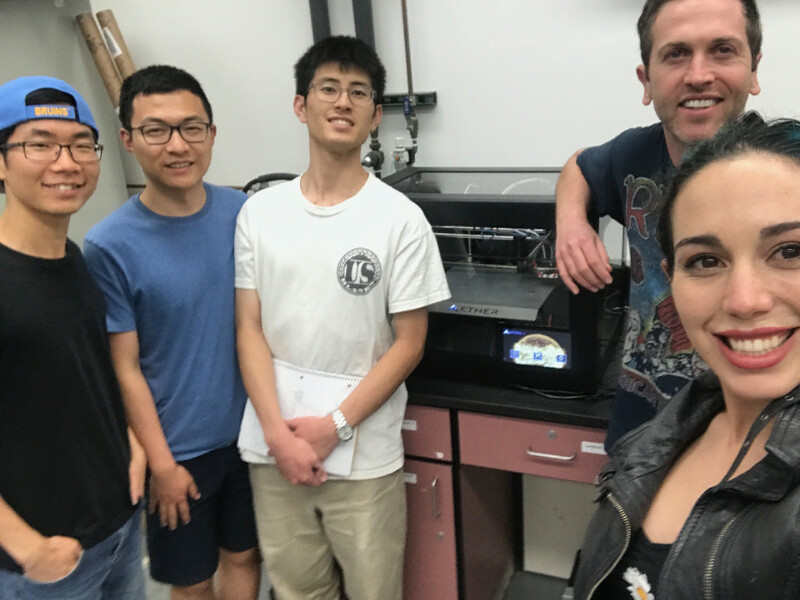 Aether Director of Engineering Marissa Buell (a fellow UCLA Engineering alumni), CEO Ryan Franks, and students at UCLA with Aether 1 beta unit. Photo via Aether. Longeviti Neuro Solutions, a neurotechnology company based in Maryland, has announced the U.S. commercial launch of its novel ClearFit implant solution which corrects bony voids or defects of the cranium. With ClearFit, Neurosurgeons can upload a CT scan to Longeviti’s Secure File Exchange where a customizable CAD model is proposed and finalized. An implant is then made using 3D printing, with additional help from a design team, for optimal personalization for a patient. 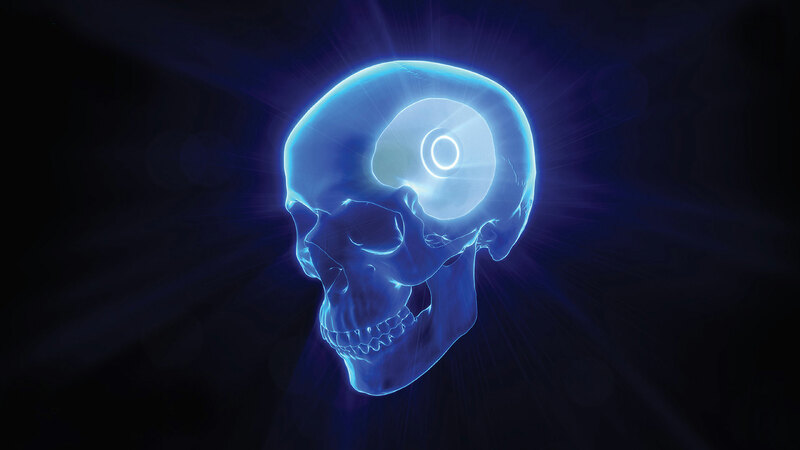 A render of the ClearFit cranial implant. Image via Longeviti Neuro Solutions. REEF DESIGN LAB (RDL) , a not for profit design studio based in Melbourne, Australia, has created what is said to be the world’s largest 3D printed Reef installed in the oceans of Summer Island, Maldives. Using its Modular Artificial Reef Structure (MARS), designers at RDL created several 3D artificial reefs using lattice structures. Each reef unit was 3D printed and molded in ceramic using slip casting, then the hollow forms were filled with marine concrete and steel reinforcement. The ceramic materials are used to house transplanted corals, which can be continually divided as they grow to colonize natural reefs. This technology can help coral reefs survive in warming climates. Global engineering firm company, Renishaw is collaborating with the University of Liverpool Velocipede (ULV) Team as part of the ARION project, which aims to build a series of the fastest human-powered bikes in the world. Using Renishaw’s additive manufacturing machines, the ULV team designed and 3D printed a metal component for the ARION4 bike called the CTS. This part attaches to the headtube to holding the front wheel in place and weighs less than 600g. 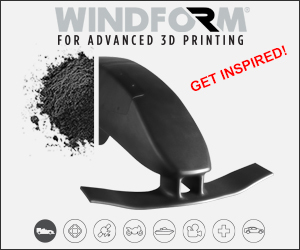 “Additive manufacturing provided more design freedom for a vital part of the transmission and steering system. The resulting component is lightweight but offers the strong properties of titanium to help keep control of the bike,” said Llyr Jones, Mechanical Engineer at Renishaw. 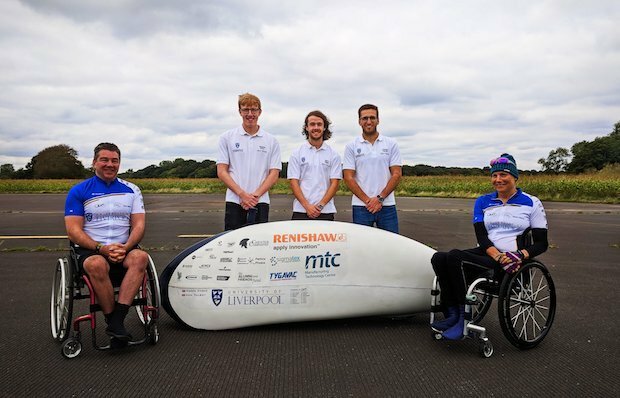 The ULV Team are now planning on breaking the hand cycle land speed record, which currently sit at 45.68 mph for a male and 24.85 mph for a female. The ARION4 bike with the ULV Team. Photo via Renishaw. 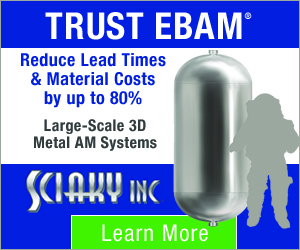 In other news, engineers from the Southwest Research Institute (SwRI) in San Antonio, Texas, are using a customized selective laser melting (SLM) machine to create a cooled, radial gas turbine for a small generator. This generator will provide thousands of hours of electricity to an unmanned aerial vehicle (UAV). 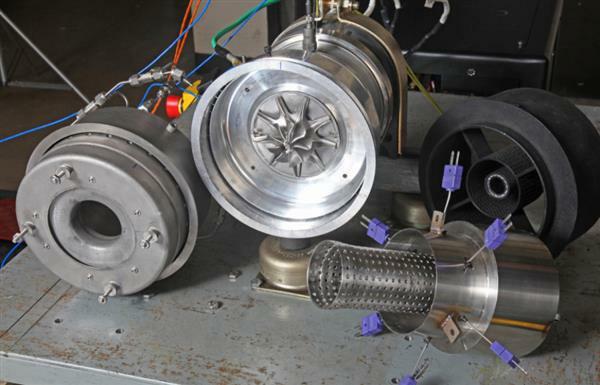 The SwRI-developed cooled, radial gas turbine prototype was created with a specialized 3D printer that can craft layered and highly detailed metal parts Photo via Southwest Research Institute. U.S. prosthetic companies, Arm Dynamics, and Ottobock have created a bionic arm and hand prop, complete with 3D printed components, to replicate that of Overwatch character Jesse McCree. 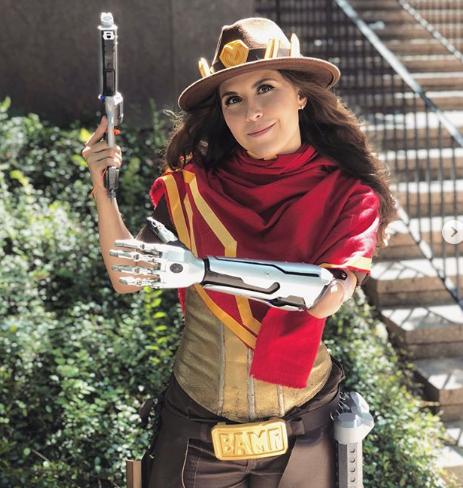 Angel Giuffria wearing the 3D printed hand and arm as she cosplays as Overwatch’s Jesse McCree. Photo via Angel Giuffria. 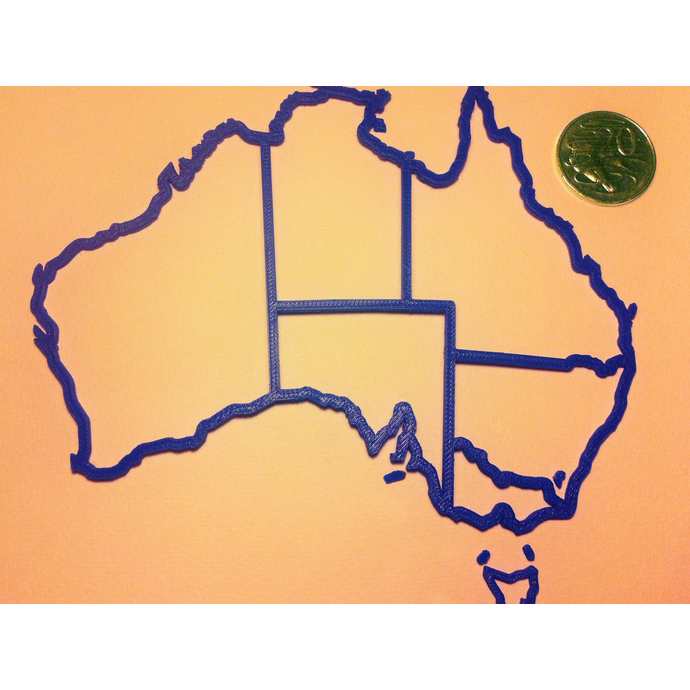 For more of the latest 3D printing news subscribe to our newsletter, follow us on Twitter, and like us on Facebook. Featured image shows Sliced logo over the 3D printed coral reef strutures. Photo via RDL/ Alex Goad.